National Hispanic Heritage Month is a time to recognize the important contributions of Hispanic and Latino Americans who have helped strengthen our culture over the years. 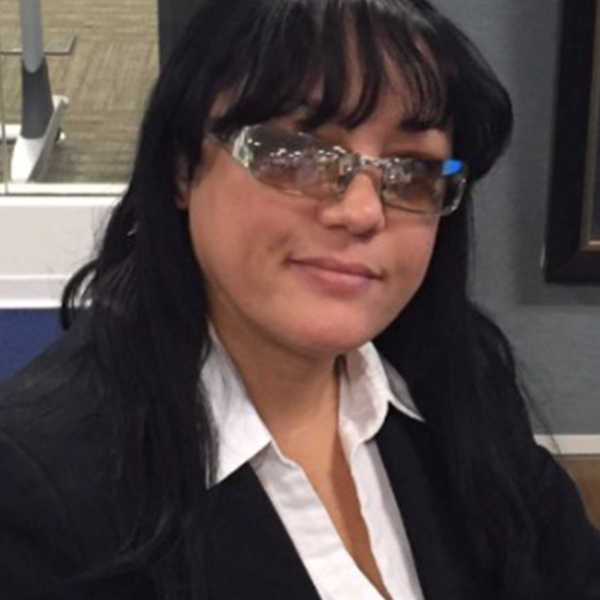 We sat down with Josie, a Hispanic American colleague, for a Q&A in honor of the month. Josie, what is your role and how do you serve our customers? I am an anti-money laundering (AML) analyst providing quality control within Risk Management. One of my team’s primary jobs is to identify and escalate suspicious activity. What do diversity and inclusion mean to you personally and as a colleague? Diversity and inclusion have a huge impact anywhere you may go. It isn’t just about culture and a variety of races. It applies to the strengths and weaknesses we have as humans. We have many different colleagues who are extremely talented, intelligent, and with great experience. When we bring this all together, we have a team that can conquer any obstacle. Our combined workforce creates ideal circumstances as everyone has a part to play. To me, our knowledge, ability to learn, and willingness to work together are at the heart of Citizens diversity. What do you want people to know about Hispanic Americans’ contributions to the success of the United States? There are many different people, nationalities, and cultures that fall under the classification Hispanic American. Being Puerto Rican, I pride myself in Puerto Rico’s contributions beginning with the thousands who have fought for our nation since World War I. According to the Puerto Rico Report: 18,000 Puerto Ricans served in the United States armed forces in the First World War; 65,000 in the Second World War; 61,000 during the Korean War; 48,000 fought in the Vietnam War. Puerto Ricans have continued to serve - thousands in the Iraq wars and in Afghanistan. Even my own daughter, who served for six years in the U.S. Army. We also have great female role models making history. For example, Antonia Novello was the first Hispanic woman to serve as Surgeon General of the United States and Sonia Sotomayor is a U.S. Supreme Court Justice. This proves that anyone can do anything no matter where they come from as long as they persevere, but it takes a strong, dedicated and resilient person to do so. What is your personal experience with diversity in the workplace - either at Citizens or in an earlier position? Citizens is very multicultural. It is refreshing to see varying nationalities working together under one roof. English is my second language and has been a hurdle for me. Fortunately, I have experience and a strong will, which adds value to our team. I fit in without concerns about being treated differently. I've grown close to many of my coworkers. I have another family here at Citizens and the best part is that while we look different and possess different skills, we all smile the same. Learn more about our how our colleagues celebrate their diversity in the workforce.